If you're vegetarian or vegan and booking a holiday, one thing you find yourself considering is whether you'll be adequately catered for. After all, a fortnight of eating rice or potatoes when all around you can choose from an extensive menu is not a particularly appealing prospect! This article take you through some of the best global hotspots for vegetarian and vegan food, making choosing your holiday destination a much more simple affair. The easiest way to increase your chances of finding a holiday destination with vegetarian or vegan cuisine is to look at countries where vegetarianism is a cultural 'norm'. Perhaps the best known country with a high population of vegetarians is India. Although Indian cuisine varies an enormous amount throughout the sub-continent, vegetarianism remains a large part of the culture. India is home to a number of different religions, whose followers adhere to certain dietary requirements which are heavily based or influenced by their religious and cultural practices. Four large religions and ways of life in India include Sikhism, Buddhism, Jainism and Hinduism. Although the largest group, Sikhs, tend not to adhere to strict diets or dietary constraints, devout Jains and Buddhists will not eat meat, embracing vegetarian and vegan lifestyles. Hindus tend to refrain from eating beef, and may avoid eating any kind of meat during religious holidays. For this reason, India is a fantastic holiday destination for vegetarians and vegans. Of course, the type of cuisine will depend on which region of India is visited. For instance, pescatarians (people who eat fish but not meat) will find a huge variety of fish-based dishes around the coastal regions of India, where access to fresh fish supplies abound. However, vegans and vegetarians will be well catered for in hotels and restaurants, particularly in the southern regions of India. As with India, there are large native vegetarian populations in central and southern Thailand, making them an excellent choice for a vegetarian or vegan holiday destination. 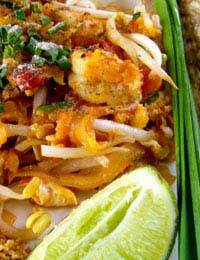 Thai cuisine also heavily features noodles, rice and vegetables, so choice is plentiful for both vegans and vegetarians. So in addition to hundreds of miles of beautiful beaches, stunning scenery and cultural and historical landmarks, Thailand is a definite 'must see' for vegetarians and vegans alike. If India and Thailand are a little too far for your liking, then perhaps Turkey should be a consideration. For vegetarians and vegans, Turkey is perhaps not the first holiday destination that may come to mind. But consider this - Turkish diets do actually feature many non-meat dishes, including stuffed vine leaves, hummus, couscous and roasted vegetables. So in addition to being closer to home, almost guaranteed summer sunshine and a large variety of vegetarian and vegan dishes on offer, what more could you ask for? If you're looking for a vegetarian or vegan holiday destination much closer to home, then there are definite UK hotspots to look out for. The coastal regions in Devon and Cornwall, where beach culture is popular, are definitely worth a visit, even if just for a long weekend. The area around Land's End in Cornwall, and the south coast of Devon are well worth a look. Likewise, the coastal town of Brighton and surrounding areas are also well-known for being home to many vegan and vegetarian world cuisine or alternative cafes and restaurants. Whatever your budget, if you're vegan or vegetarian, and eating well is a priority, then head for these locations and you'll not be disappointed!